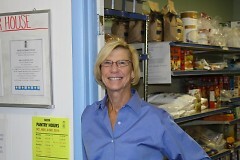 North End Community Ministry relies on volunteers, food donors and local farms to feed its diverse neighborhood. Comida, pagkain, or chakula: No matter how you say it, food is something we all need, and North End Community Ministry (NECM) is working hard to make sure language is not a barrier to putting a healthy meal on the table. 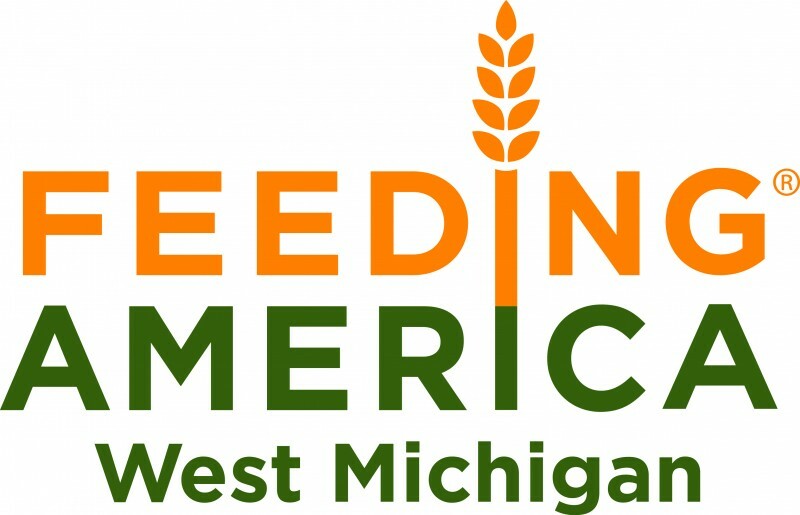 Amy Chavez is a client and volunteer at NECM, a Feeding America West Michigan partner agency located at New City Church in Grand Rapids. 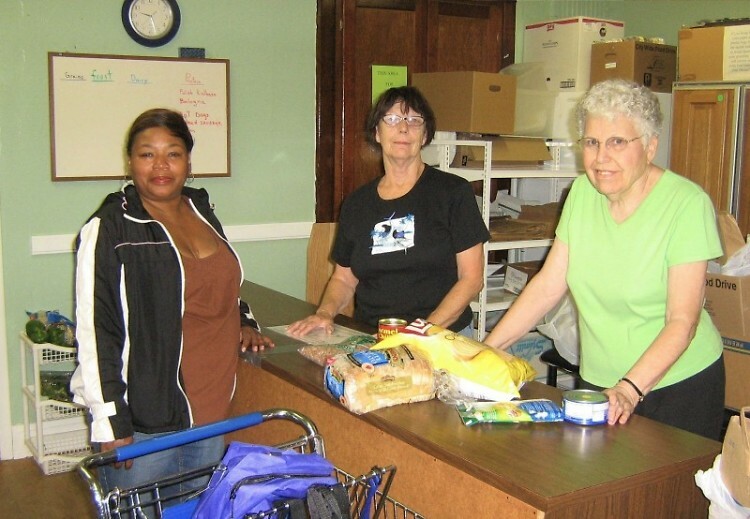 After receiving food every month for two years, she decided it was time to give back, especially now that she’s retired. Soon after joining the group of volunteers, Chavez realized that her command of Spanish and English could be a valuable asset to the organization. “I feel that I’m doing something good for them, that I can be used as an interpreter,” she says. 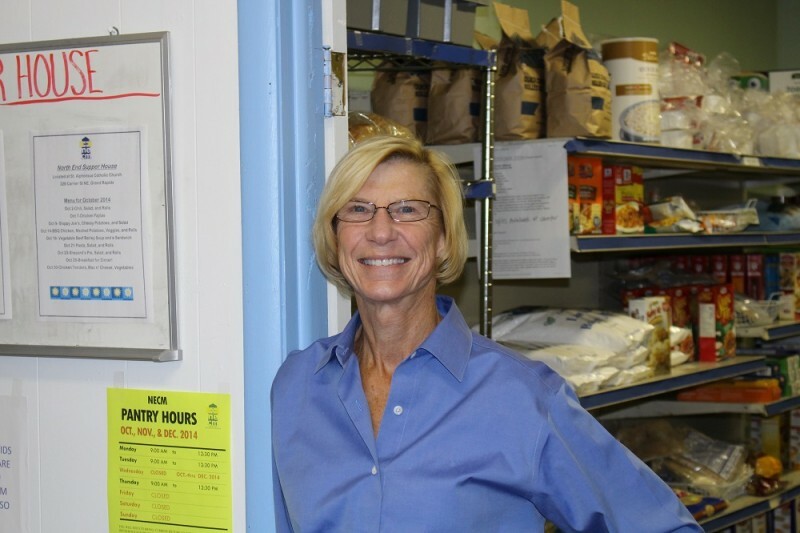 Pantry coordinator PJ Hefferan says NECM’s community is diverse, made up of Black, White, and Latino members, along with immigrants and refugees from all over the world. Though her grandkids love her fried chicken, Chavez makes an effort to serve healthy meals at her dinner table. The variety of fresh produce and the cooking classes NECM offers have helped her do that. 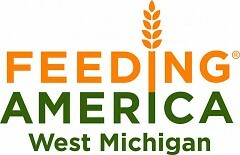 NECM gets much of their food, including fresh produce, from Feeding America West Michigan. They’ve also cultivated partnerships with New City Urban Farm in Grand Rapids, Plainsong Farm in Rockford, and Meijer’s Simply Give program, ensuring that healthy food is always available. This story was written by communications intern Ellie Walburg.